Despite some ongoing pressures, the country’s logistics activity continues to grow on both the import and export side of the business. The sizable growth in Mexican foreign trade over the last two decades has created plentiful opportunities in the country’s transportation sector. For example, there’s been a marked increase in the volume of transportation of merchandise arriving at Mexican ports for export to the U.S.—an uptick that’s largely been driven by President Peña Nieto’s planned investment of $586 billion (USD) in transportation infrastructure between 2014 and 2018. According to Export.gov, this National Infrastructure Program (PNI) is well underway and includes a heavy focus on the construction and modernization of roads, airports, maritime ports, and railways. Although several infrastructure projects have been affected by low international oil prices, current projected economic growth is supporting the development of various transportation infrastructure projects. To help shippers leverage these opportunities, DB Schenker offers import and export services across all land, air, and maritime shipping modes. It also provides last-mile deliveries from distribution centers (DCs) to the country’s ports and airports—and for local deliveries. “For the last three years, container transports to and from the ports has been a segment of our portfolio of services which has grown year over year,” says Miguel Salado, DB Schenker’s Land Freight National Distribution Director/MEXICO HQ. “We offer a service that meets the needs of our individual clients, including 24/7 shipment visibility.” This is particularly important in a country where cargo safety and security are crucial, but not always easy to attain. In Mexico, the automotive, aerospace, high-tech, and retail sectors are the primary users of raw materials that are incorporated into final products. The country also exports a high volume of oil and gas (i.e., crude oil derivatives) and agricultural products. In addition to the U.S., Mexican firms export goods to Canada, China, Germany, and Brazil. On the import side, the country’s main products are of a manufacturing nature as well as the refined products from oil and high-tech companies in the U.S., China, Japan, and Germany. 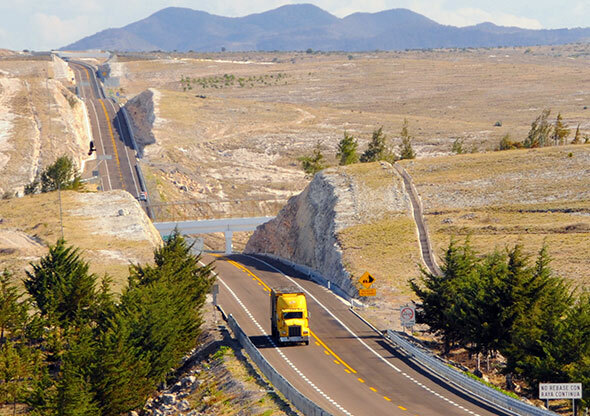 According to Salado, mobility remains one of Mexico’s primary logistics challenges. “We don’t have adequate infrastructure to deliver goods in less time, and our largest vehicular park in our country is deteriorated—a fact that slows logistics down even further,” says Salado, who adds that a modern highway infrastructure could both reduce costs for shippers and enhance their competitiveness in the global market. Other key challenges include the depreciation of the Peso (against the dollar) and the regular fuel increases that result in transportation cost hikes in industries where such expenditures can consume up to 40% of the typical operating costs. Cargo security is an ongoing concern, Salado adds, as are the changing customs requirements and regulations. 1) Government support of the cargo transport sector—made possible by new public policies—will help improve road safety while also minimizing cargo thefts. 2) The price of fuel will continue to rise in an environment where diesel prices have increased by 8% in 2018 (versus last year). This, in turn, will impact transportation costs. 3) The continuous creation of better robotic monitoring systems will eliminate the “human” risk factor and help minimize theft and other challenges. 4) In cases of road safety, motor transport providers continue to incorporate technology equipment (e.g., cameras, eye readers, sensors, etc.) to help mitigate road accidents. 5) Mexico’s Secretary of Communications and Transportation (SCT) is proposing an improvement to the NOM-SCT-087-2017, which would establish driving times and breaks for operators in Mexican territory. “For many companies, the development will help improve delivery transit times,” says Salado. 6) The industry, utilizes vehicles that are 20 years old (on average), is ripe for an infrastructure upgrade. 7) The commercial exchange by truck between Mexico and the U.S. will continue to increase in 2018, and beyond. 8) A continuous increase in tariffs derived from rising fuel costs will be levied outside of the actual fuel costs (so as not to increase the per-gallon price of fuel). 9) The increase in e-commerce activity is pushing continued growth in last-mile delivery services across the country. 10) The U.S. market will continue to grow, thus creating an ongoing “shortage” of American equipment for export in Mexico. As Mexican trade continues to grow, so too will the need for logistics service providers that transport, warehouse, and handle both time and temperature-sensitive products. 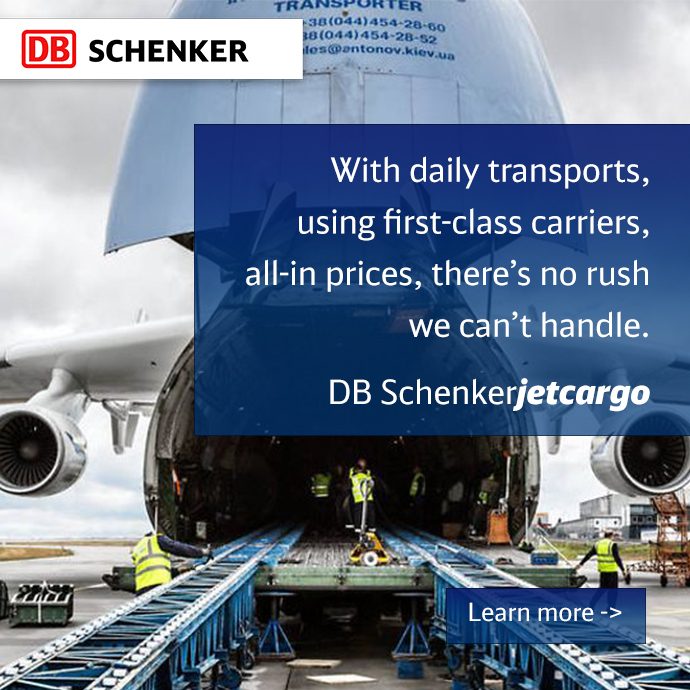 To help support this growth, DB Schenker is continually improving its services, increasing customer satisfaction, assuring cargo security, and promoting an efficient transportation system that supports Mexico’s competitiveness in a global economy.